• We will produce a precision dimensioned CAD drawing, which will be sent for your approval with a Quote on Cost . • When we receive your approval, We will produce your templates and knives quickly and accurately, and in accordance with your time schedule requirement. • We will contact you for payment and Your made-to-order product layout, profile knives and templates will be shipped by method of your choice. • When your knives need sharpening, you’ll get the same thorough and timely service. Ground to pattern Our customers tell us we offer the finest W&H moulder steel available. Accurate bolt hole locations that are CNC machined and 100% inspected to ensure perfect knife clamping. Fine horizontal surface finish allows for smoother cuts. 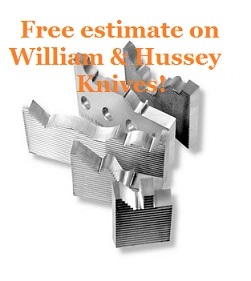 Knives fit both Shop Fox and Williams & Hussey mini-moulders. 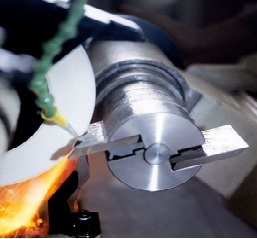 Custom Grinding Service offers super- quality Knife production by our experience grinder technicians. All of our precision profile knives are produced From M2 Grade HSS is our most common requested steel , however other grades are available ( please call to discuss your application and we can recommend the correct grade ) . Balanced to within 1/10th of a gram , install in cutter head and Run , profile finish ground with a 220 grit CBN wheel we guarantee superior finish on your wood and to match sample wood or drawing perfectly . 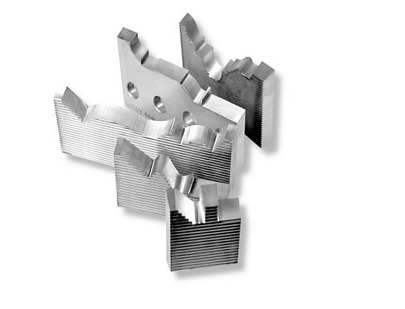 Custom Grinding Service also offers product layout, template and knife production by our experience technicians in the operation of both moulders and grinders. All of our precision profile match either W & Hussey or Shop Fox machines .